Tonight was planned by the Yellow Six and they decided that we go down to the woods to build shelters. Each six was tasked with the job of building their own shelter to hold just two Cubs. 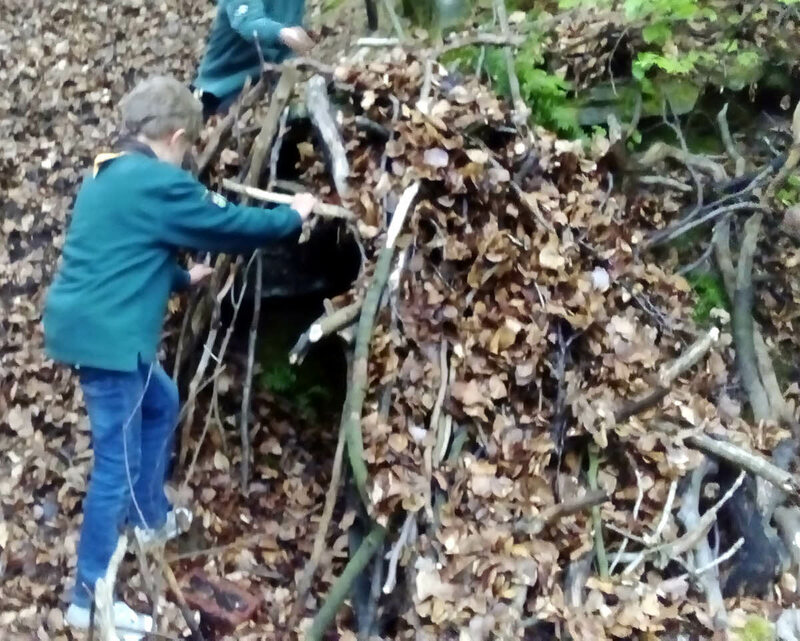 This one I judged to be the best, built by the Green Six, it might be a bit on the small side and very cramped for two, but they had managed to get a some leaves on to form a roof – something that no other team managed to do. This one was built in the old quarry, against a hollow in the rock face, others tried building against trees out in the open – no one used the many thick bushes as a location.